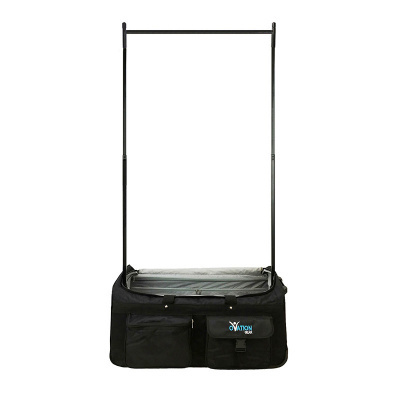 • Steady and secure rack system that sets up quickly, easily holding all your costumes for quick access and costume changes. 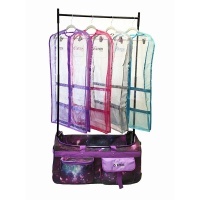 Bag is designed to hold up to 15 costumes. 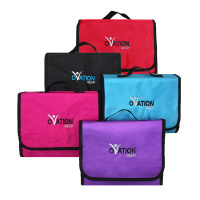 The Ovation Gear Large Performance Bag measures 31.5 x 17.5 x 14 inches. The rack height fully extended is 59" tall. Also available in a Medium size here. 2. 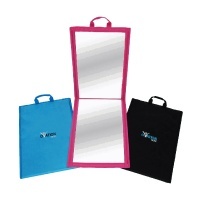 What is the weight of the bag itself? The weight of the bag itself is just over 16 lbs.